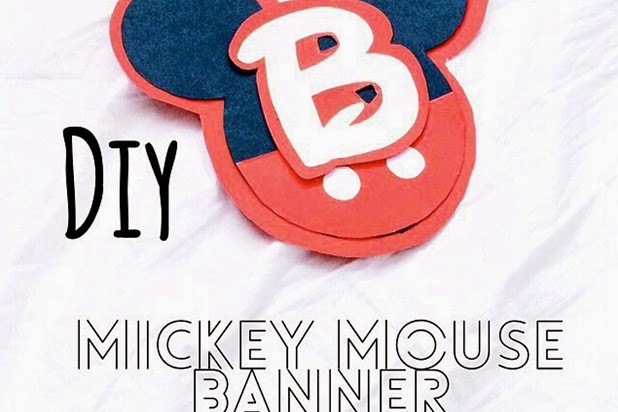 I've started prepping for my LO's Birthday already and I had seen a couple of Mickey Mouse banners I liked; however I didn't want to spend to much and they all pretty much ranged in the $20s so I decided to make it myself. For the Mickey Mouse I used this image and cut out 13 pieces with the black cardboard. Then I printed the Letters and cut them out. 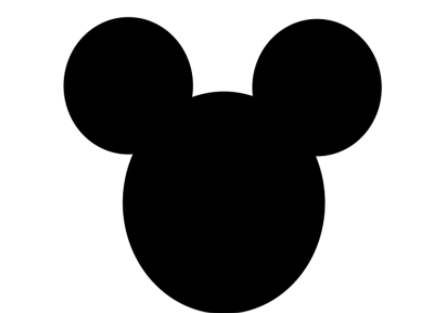 (Link for letters are provided incase you'd like to use them) Now the trickier part was the outline of the Mickey Mouse I just outlined it and used one to make the rest so they would all be the same. I did the same with the letters. For the buttons I just used the glue stick cap, traced it and cut it out. 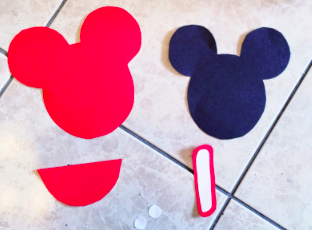 For the red bottom part I just traced the bottom half of the Mickey Mouse head to the red cardboard and cut it out and used it as a guide. You'll need to cut out 13 of each. This is what you should have to work with. 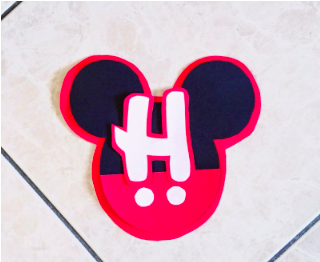 Now you'll use the foam board and cut out small circles or squares and place them between the red ears and the black ears. You'll glue the bottom half circle and add the buttons. And then you get the letter and place another small piece of the foam board. 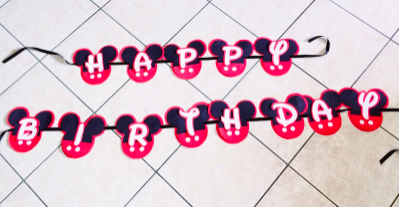 And you have a HAPPY BIRTHDAY DISNEY INSPIRED BANNER. You can add your LO name too. 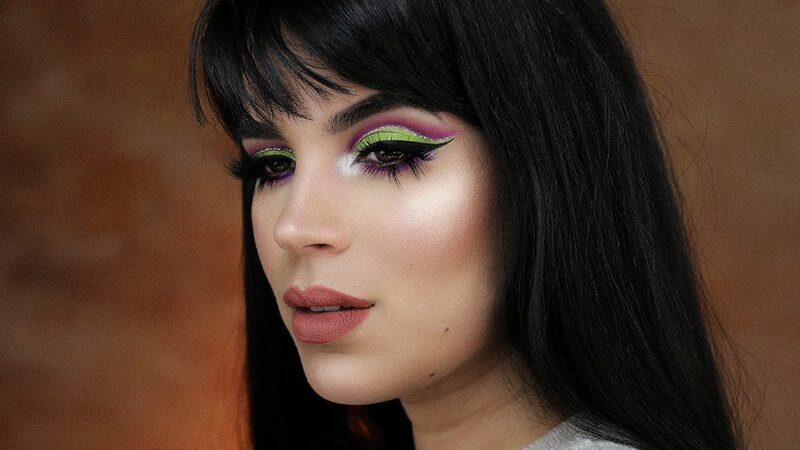 Your creativity is just incredible. You made such beautiful DIY banners on an affordable price. Hat’s off to you. Hey, would you like to host the party at an outdoor venue that is inexpensive too? If yes, then you must visit eventup.com for the list of best kid’s party places Miami! This is super cute... 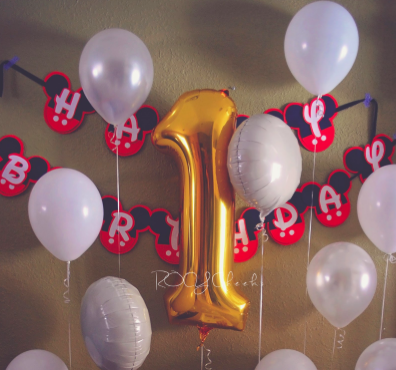 I am sure gonna make it for son's first birthday party for which I'm going with Mickey Mouse theme.